Drop your bags at your hotel and recover from the overnight flight with a decadent breakfast at the Wolseley in Mayfair. 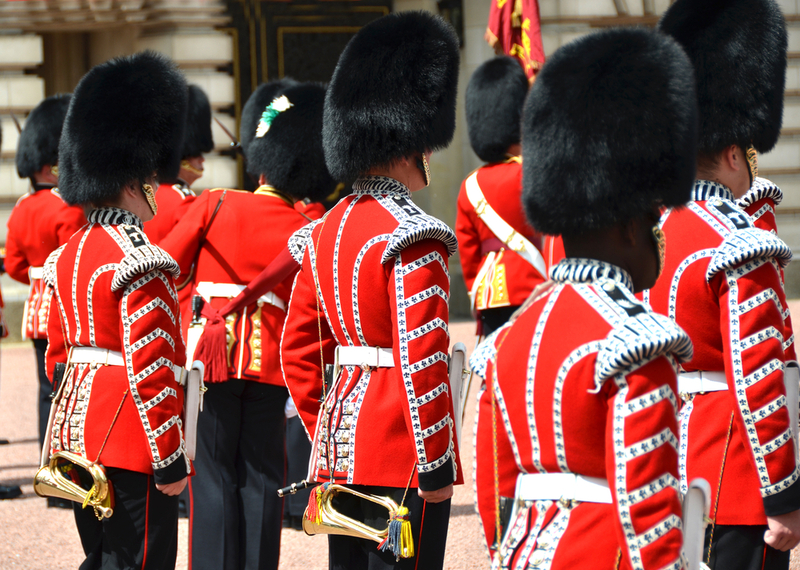 After mom and dad have properly caffeinated and the kids are jacked up on the world’s best hot chocolate, walk through Green Park to Buckingham Palace, where the Changing of the Guard begins at 11:15. If the crowds are too thick, escape to a lesser known (and one of our favorite) attractions, the Royal Mews. Just down the street and largely missed by the majority of visitors, this is where the Queen’s horses and carriages are kept. Tip: the audio tour has an adult version and a children’s version. Get the kids’: it’s narrated by a fictional stable hand’s son who is growing up in the apartments that are above the stables (still occupied) and really keeps a child’s attention. If you can push on without a nap, hop the number 52 bus (double decker, natch) along the south side of Hyde Park to Kensington Palace. The Orangery next door is a great spot for lunch outside, then tour the public areas of toddler Prince George’s home. Context Travel does a fantastic private guide here—our children are still chattering about the stories of the king who died on the toilet—but if kids are too jetlagged to handle heavy history today, this is also an easy place to wander and enjoy. The gardens are beautiful, plus in the palace, children can sit in the seat where young Queen Victoria was told of her succession, play dress-up in period clothes and see the kinds of toys her children used. Afterwards, hit up the nearby Diana Memorial Playground, complete with a huge pirate ship for climbing, or go for a row on the Serpentine. Early dinner tonight—Cecconi’s in posh Mayfair is a buzzy favorite for Italian—and off to sleep. For Harry Potter fans, spend today exploring the WB Studios in Leavenworth. The trip there will take you around an hour, door to door. Be sure to purchase tour tickets ahead of time. 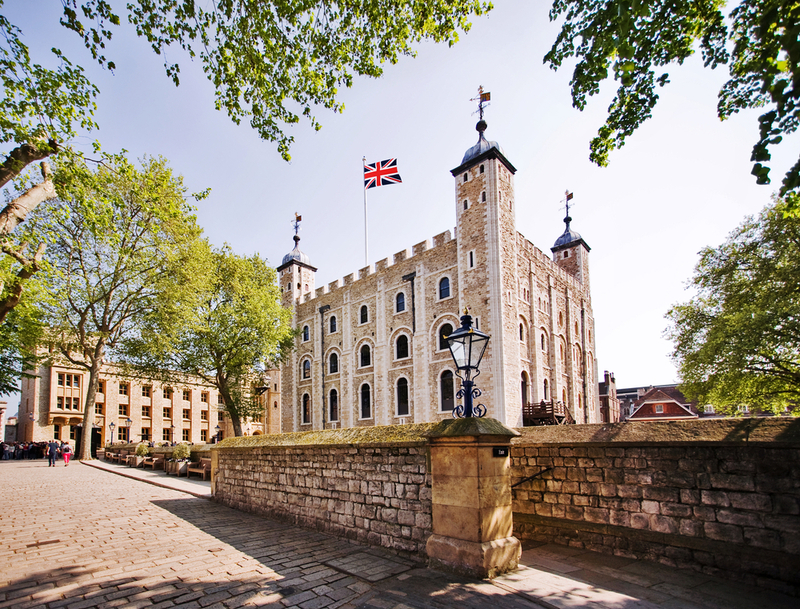 If you’re staying in the city, hit up the Tower of London. Pre-purchase tickets to skip the line and arrive the moment it opens to (somewhat) beat the crowds. Hit the Crown Jewels exhibit first, as the queue is unmanageable later, then join one of the free Yeoman Warder (they hate the term Beefeater) tours. The guides are stand-up comedy level funny, but groups are big, so be sure kids stay up front to hear what he’s saying. If you can pry your children from the Tower after a few hours, pop across the street for lunch at the Perkin Reveller, a restaurant on the Tower Wharf. Named for the boisterous chef’s assistant in the Canterbury Tales (Chaucer oversaw the construction of the wharf), the restaurant has a nice outdoor terrace with great views of the Tower Bridge. Alternatively, walk the bridge, wander the Southbank waterfront and end at the Shard, Western Europe’s highest tower. Oblix, on the 32nd floor, has views that top the London Eye plus fantastic food. It’s more of an adult scene but well-behaved kids are welcome (and there are easy eats like roasted chicken and mac and cheese on the menu). Borough Market, one of our favorite food markets, is near the Shard and fun for a wander after lunch. The Thames cruises leave from piers around here, so you can also cruise the river if you need to take a load off for a minute. Spend this afternoon at one of the museums, either the National Portrait Gallery or the British Gallery. If you skipped the tour at Kensington yesterday, now’s the time to call in the experts. They make a big difference here and take the pressure off mom and dad. Afterwards, pop into the Ham Yard Hotel for afternoon tea then hit St. James Park to let the kids run. Book a sitter tonight for a kid-free dinner at a hotspot like Chiltern Firehouse or Berners Tavern, or dine en famille at seafood favorite, J. Sheeky. Contemporary art doesn’t sound kid-friendly, but the Tate Modern has a real kid-focus, with children’s multimedia guides you can download to your phone to scheduled family activities (and, of course, stroller parking, changing tables and kids’ menus if a snack attack strikes). Afterwards, board the Tate Boat, which runs along the Thames between the Modern and the Tate Britain. Tip: Shakespeare’s Globe Theater is next to the Tate Modern, so if you’ve got older kids studying the Bard, stop in before taking the boat. The Swan, the Globe’s restaurant, is a great option for lunch. Most families only have a few days in London, not nearly enough time to hit all the sights. This afternoon, choose what sounds most interesting to your family, depending on age. The young ones will adore the Natural History Museum and its dinos and butterflies, while train-mad tots should hit up the London Transport Museum in Covent Garden. Older children who have started studying World War II should skip straight to the Churchill War Rooms, the bunker where Churchill and the cabinet governed during the Blitz. Head to one of London’s more trendy neighborhoods for tonight’s dinner. Portobello Market in Notting Hill closes down by late afternoon, but if you arrive early, shop the stalls, which range from antiques to clothing to knickknacks, then grab pizza at Pizza East Portobello. Be sure to scope the cool boutiques along Westbourne Grove. Picky eaters will also love Notting Hill's Electric Diner, where tots can order up a hot dog but parents still get the buzzy vibe. Families with trendy teens should head east to Shoreditch to Hoi Polloi, a scene-y Scandinavian spot inside the Ace Hotel, or Dirty Burger, East London’s answer to Shake Shack.